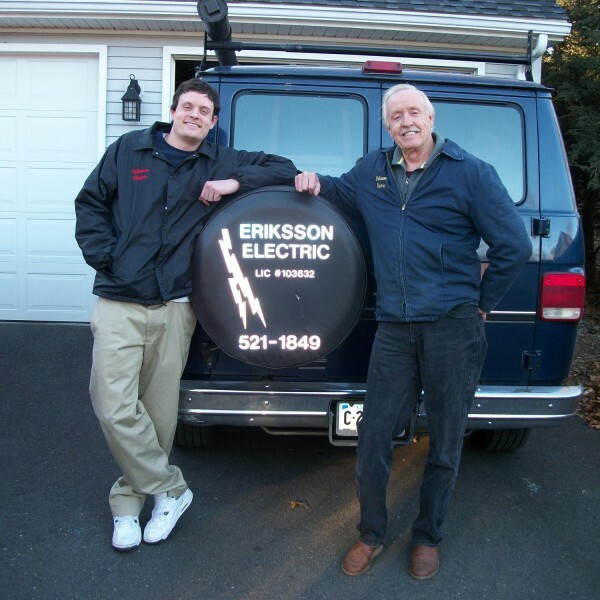 Eriksson Electric Company is locally owned and operated in the Hartford area by Ben and Ryan Eriksson for over 30 years. We are focused on quality products and service, specializing in service work, remodels, new homes, lighting control, heating and cooling and all other types of wiring. One of the top electrical companies in CT. Call or email us today to find an electrical contractor in CT. Learn more about our electrical contractors in West Hartford, CT and generator installations in CT.
We feel our dedication to our customers and legacy of a strong work ethic comes from our Swedish immigrant roots: “The Swedish Connection”.